When preparing to sell your home or property, you’ll likely get an earful of advice about finding the right agent. You’re less likely to hear what you should do before your first meeting with that agent. If you don’t prepare, you could suffer financial consequences. Heed these 6 Tips from Mattco Realtors to insure your home selling experience is a great one. Anything you can do to make your real estate agent’s job easier is going to benefit you during the process and when sale time comes. What’s important to remember is that you’re mostly likely going to be working very closely with this person on a very big transaction, so it’s a good idea to be prepared and ready to provide them with as much information as possible right off the bat. Here are six helpful things the seller needs to do before contacting and hiring a real estate agent. Most sellers have an idea of what the home should list for, but the savviest sellers check comparable home values before meeting with a listing agent. Give yourself a quick refresher on your local market, as conditions have likely changed since you bought your home or property. The goal is for you and your agent to be on the same page in terms of the value. Sometimes you’ll find conditions will be in your favor, and sometimes you may be disappointed with the current market. Regardless of what you discover, your research will help you and your agent create a realistic plan for selling your home. Sellers should look at recent comparable sales (known as “comps”) in the neighborhood. Sellers can find that information through online real estate sites. Sellers should be realistic, using homes with comparable square footage, the same number of bedrooms and bathrooms, and a similar level of amenities. It’s also important for sellers to consider their home’s condition relative to the comps. While you may have a rough idea of what you owe on the mortgage. Before meeting a listing agent, pull your loan documents and turn that estimate into a precise figure. Knowing your loan amount upfront will help a Realtor know what strategy to take with your home. If the amount you owe is more than the market value, then you’re underwater. Selling a short sale is totally different than an equity sale. Even if your home is in the black, it’s important to work with precise dollar amounts to help get a better estimate of what you stand to make from the sale. Depending on what the agent thinks you can get in the current market, that information might also make the difference between listing and waiting it out. 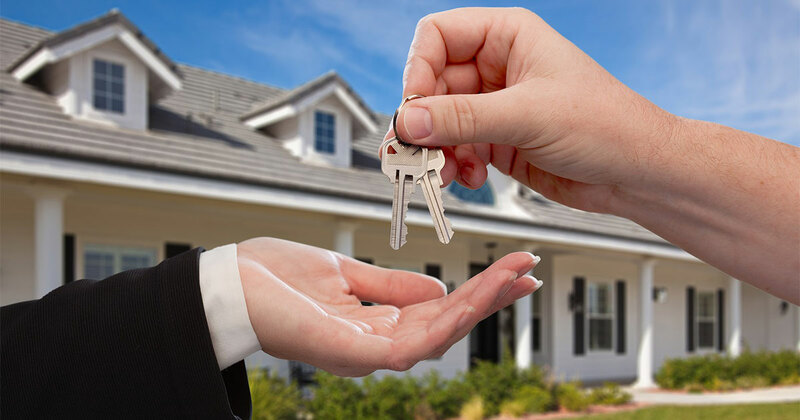 The easiest property to sell is unencumbered property. But that’s not always possible. The more a seller can inform an agent in advance about any liens and other issues that could hold up a sale, the better. Think about any tax issues, disputes you have had with contractors or other problems that could have allowed a creditor to put a lien on the house. Likewise you’ll also want to be upfront about disputes with neighbors, especially if they regard property lines, because it’s always easier to settle those matters before listing the property. If you’re selling a property that belonged to a deceased relative you’ll want to be sure that house or property has a clean title before contacting an agent. It should go without saying that you want an agent to walk into a clean home. Think of it as making a great first impression. If the Realtor believes your home is fantastic, they will be persuaded to market it at a higher value if possible. It’s important to clean the home as if you’re having guests over for supper. But you shouldn’t limit your cleaning to inside the home. Curb appeal is major. You want the agent to have a mental picture of your home being a prize, so if you need to mow the lawn or prune the bushes, do it. While it’s tempting to add value to your home or property ahead of getting it listed, it’s better to hold off on improvements, at least until you’ve hired your agent. What you think is going to net you a return on investment may not be what’s trending in the market. Mattco Realtors know what the buyers in your area are asking for, and more importantly, what they will pay a premium for. If you only want to spend a little money to fix up the place, that’s fine because an agent can work with that. But if you’ve already spent that money, there really isn’t much that can be done. Working with a Mattco Real Estate agent to determine what upgrades to make also has the benefit of objectivity. Sellers are always tempted to go overboard, but perhaps they shouldn’t because they’re moving. If you run those decisions by a Mattco agent, they’ll help you stick to what’s necessary and help to steer you away from making choices that are specific to your tastes, which might not appeal to buyers. While sellers shouldn’t make improvements in advance of hiring an agent, they should have the details on any upgrades they’ve made. It is very helpful as a listing agent to be provided with a list of upgrades or improvements that have been made to the home during the course of ownership. These improvements can range from major expenditures such as additions, to smaller investments such as new carpet or flooring. Knowing about these updates can help Mattco Realtors price your home correctly and market it effectively to buyers. The price of updates is not as important as the fact that they have been made. Real estate professionals will know what value is added to the home with the upgrades, and in most instances it’s more than the initial investment. Have questions you’d like to ask us before you sell? Excellent! Contact one of our Mattco Real Estate Agents today.